The year is coming to an end and I’ve been reflecting on the things I have accomplished for 2010, and have been writing down my 2011 aspirations. One of the things I will achieve is nuturing my interests. We get so boggled down with work and life that we don’t have time to really focus on things we really enjoy. The work week is over, and we are so happy to just sit on the couch that we don’t even get a chance to explore or nourish things that help our “beings” flourish. Our mind vegetates on colorful pixels generated from our television or computer screens at least 5 hours a day. Many of us haven’t read a book in forever, or took up an hobby, like photography, playing an instrument, or exploring a new, foreign city or language. We limit ourselves by not coming out of our comfort zone and taking interest in something that isn’t part of our immediate community. This year, I told myself that I wanted to learn a different language. I took French for 5 years in college and I can’t speak more than the general phrases, “Comment-allez vous” and “Tres bien.” When I went to Paris, a few years ago, I was a lost soul. It is a city I really liked and want to return to on a regular basis, so taking up the language won’t hurt and it makes me more versatile. I always marvel at the people who are fluent in 6 languages and who are well-traveled. They have an understanding of the world outside of America and have gained interests from their excursions. Not everyone is blessed to have the resources to travel around the world, but we also don’t take the time to look at the local paper for activities and hobbies that are offered to us and our children right in our community. We get lazy, or haven’t been exposed or conditioned to explore these options. As I learn, I try to be a conduit of my knowledge to my mentees and my friends. Sometimes, due to cultural differences and behaviors, we box ourselves into what we can and can not do. Our socio-economic class makes us limited in our view of the word, at times. Our imagination becomes stifled because we aren’t encouraged to be more than what our neighborhood or television allows us to envision of ourselves. Then we are also too scared to experience something new because it’s unfamiliar to us. In some other cultures, being inquisitive and curious about different foods, cultures, books, careers, and hobbies make children and people achieve things we didn’t deem possible. There are hobbies other than just basketball, football, and rapping to partake in. There are foods other than soul food, Chinese food, Italian food, and American cuisine. Try a Greek restaurant, or a Middle Eastern restaurant one day. I promise, you won’t be disappointed. We sometimes just have to be open to new experiences and different people. Being a better you in 2011, is looking outside of your immediate circle and trying something innovative and new; being in tune with yourself takes time and growth. Our evolution is based on our own openness and determination to learn. Being stagnant, and doing the same thing over and over, leads to restricted possibilities. I always feel unfulfilled when my life has become montonous. My spirit compels me to find something fresh and brand-new for me to enjoy or find a liking towards; whether be a new song, book, or movie. However, this year, I plan to really develop my interests. Being considered interesting because of my experiences is a life long goal. Have you ever met someone who was just interesting because they have lived life to the fullest? They never let fear or rules stand in the way of them attaining their dreams and desires. I tell people all the time, “Don’t let you stand in the way of you.” Let go of the fear of being the “only one.” If something peaks your interest, then explore it. You may be really good at it and it could blossom into another source of income or career. You never know. A better you is shedding your usual way of thinking and give light to the possibility of something else. If you are interested in a new restaurant, book, or cd, here are a few. Also share some of your favorites with me. 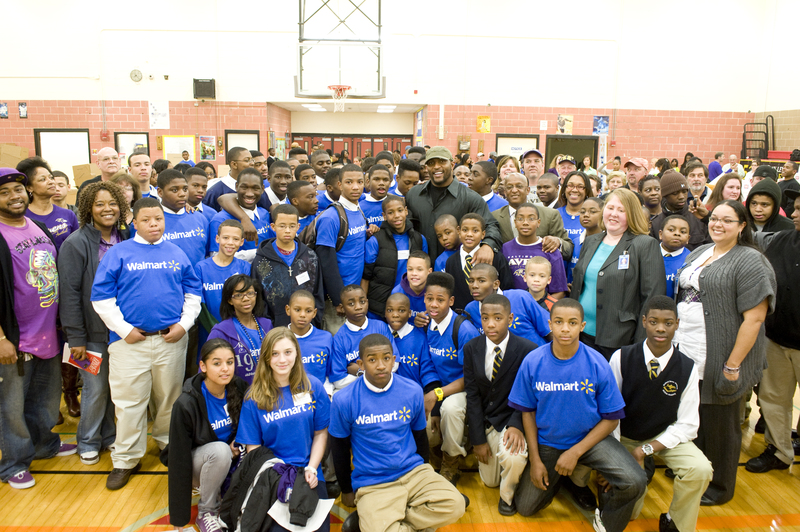 Ray Lewis and Walmart give over 150 kids the opportunity to have a grand Christmas…. 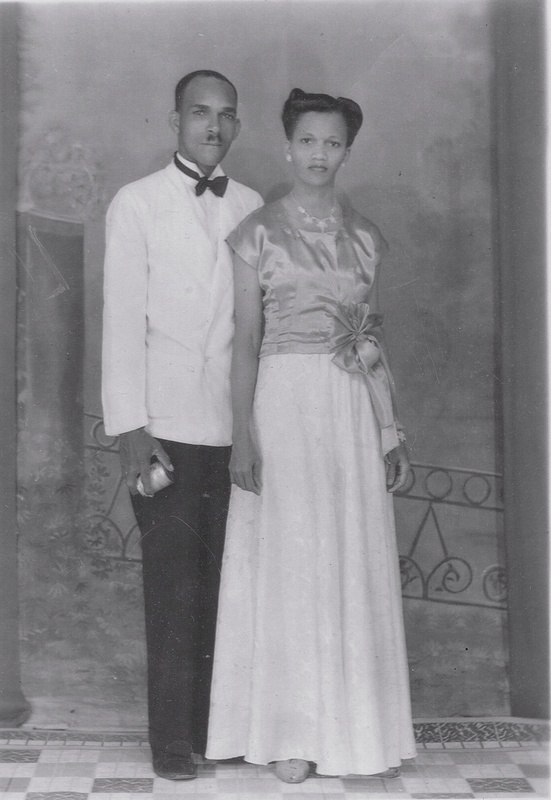 The fondest memories of my great grandmother were when I was in Guyana. I lived with her until I was about 3 years-old. She cared for me, loved me, and provided a stable home for me while my young parents worked to bring me to America. Then she came from London to live with us when my sister was born; I was seven. Her baked-goods of pineapple and coconut tarts warmed my belly almost every week when I arrived home from school. 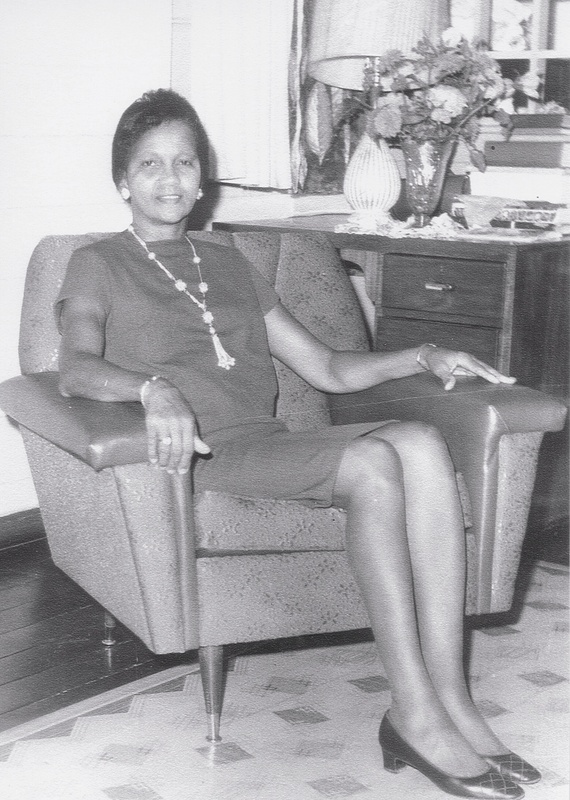 She was a staple that I took for granted; a little bit of Guyana was placed in our new American home. I learned how to bake from her; watched her favorite soap operas with her- One Life to Live and General Hospital; and I first learned about the bible from her. Every Sunday I would try to squirm away from having to read the bible stories she was trying to teach me. Even though I loathed it at that time, it still resonates as one of our most tender moments. I was never able to have that bond with my grandmother, who was her daughter, because she died from breast cancer when I was five. She was the only maternal grand parent I had to cling to; so when the call came this week that she had passed, I was crushed. She was known as “Mums;” a caretaker to many. That was her knack, to care for children. Mums traveled far and wide to care for her extended family’s children. Her benevolent spirit always filled every home she entered. Unfortunately, when I was 16, Mums broke her hip and was forced to go live with her only existing daughter to be cared for. Our bond was something special because I was her first great-granddaughter. I was a rebel against her old school ways, but I was also her little friend. I kept her company most of the time because my parents were hard-working immigrants. She, too, was in a foreign place with not many friends; separated from her sisters, brothers, and friends who were scattered throughout America, Guyana, and England. However, I was her little helper in the kitchen and her t.v. companion. I still remember her powdery smelling perfume and her slightly grayish-colored eyes. As I reflect back, she was more important than I realized. She was my mom when my mom was working late; my protector and one of the loves of my life. I will miss her, but I know she lived a good life. Everyone hoped she would make it to her 100th birthday on December 25th, but I guess God couldn’t wait to have one of his angels back. Love you, Pearl “Mums” Luthers. The lighting of the Washington Monument was yesterday, which is always a sign for me that Christmas, the season of giving, is among us. 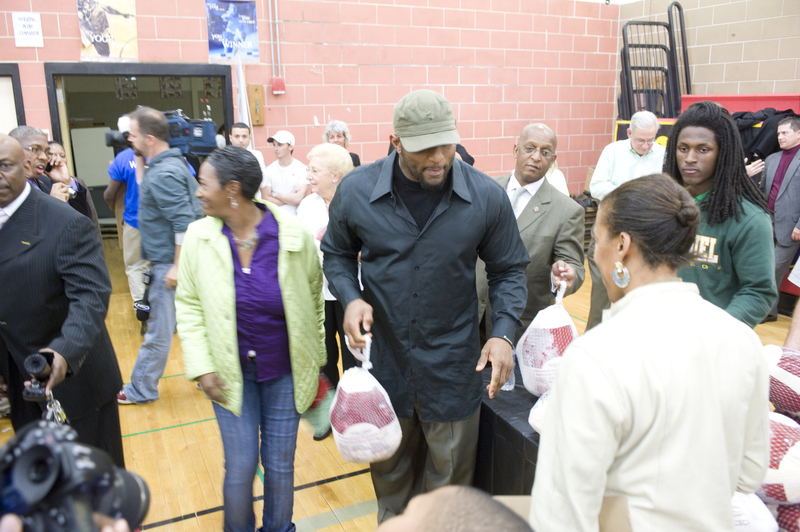 Last week, Wal-Mart and NFL Pr Bowler Ray Lewis teamed up to feed close to 1000 families at the Bluford Drew Jemison Academy. The young boys at the Academy worked for hours, loading boxes of Thanksgiving goods for needy families. 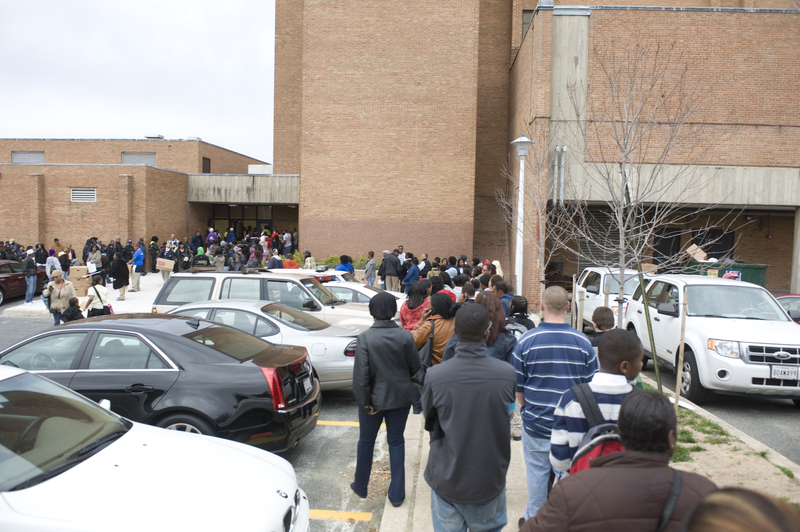 It was a pleasure to help so many people enjoy Thanksgiving this year. Pairing Wal-Mart and Lewis together was something I felt passionately about, because I have witnessed their independent commitment to give back to the community that serves them, and knew that, combined, it would create the perfect synergy. I have worked with Lewis for over two years now, and his benevolent spirit surpasses many. Wal-Mart, being the largest retailer in the world, has been an excellent complement to this partnership. Their dedication to implementing their pillars of education, workforce development, environmental sustainability, and health and wellness are so prevalent in this area, as seen through the institutions and organizations they have supported. 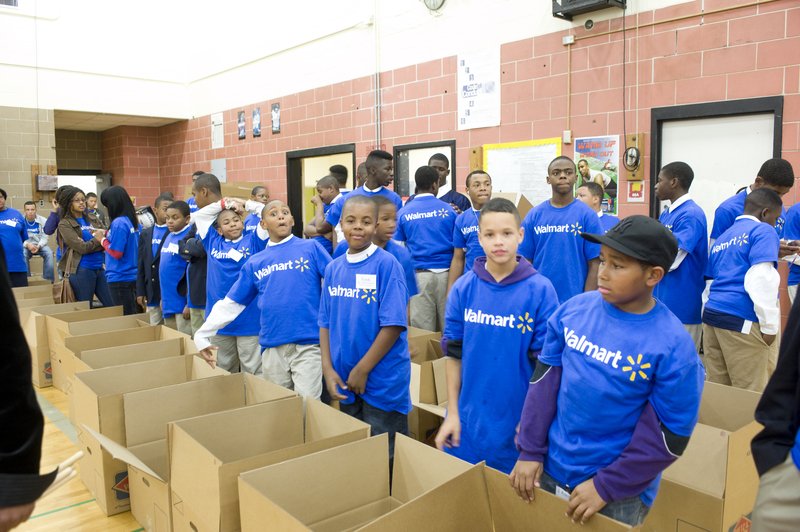 While everyone doesn’t have the resources that Wal-Mart has, everyone has something to give. Whether it be your time, love, or money, people are in need. Our country is going through a time of hardship, and maybe you are experiencing hardships of your own, but you helping another in some type of way may ease your suffering. So as we shop and fellowship with our families be cognizant of your blessings and others’ needs. Our world is one, and when one suffers, we all, in turn, suffer. Have a happy holiday season!! !